If there's a church that I know almost every nook and cranny, it will be my hometown's crown jewel. 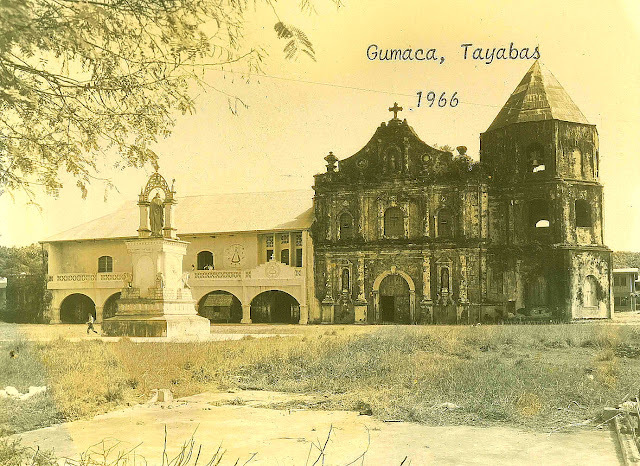 Located in Gumaca, province of Quezon, is the seat of the Diocese of Gumaca, the San Diego de Alcala Cathedral. Already registered in the Franciscan annals as early as 1582, Gumaca is considered one of the oldest towns in Quezon. With the town's establishment is the building of the church; a sign of Spain's christianization and declaration of authority. However, due to frequent moro raidings, the people transferred to town to Silangan, a town in Alabat Island which faces the former town. But moros, and even the Dutch, did not spared the new town. They were attacked and burned by the Dutch in 1664. Once again, they transferred the pueblo to it's former location in Gumaca's shores for good. Eventually in 1690, the building of what is now the cathedral began. 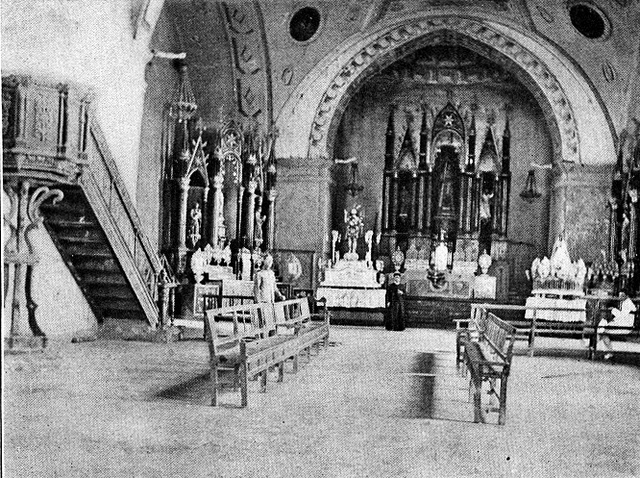 Free communal labor was used; men, women, and even children worked to construct the church. Bricks and coral stones made up the walls and belltower, with lime, water, molasses, and pounded puso-puso as binders. Sturdy lumber and tejas served as it's roof to finish the religious edifice, meant to last for a hundred years. Currently, the church has maintained it's ancient walls and the convento. Style is primarily Baroque, which is very common in Colonial churches. Carvings of seals and emblem adorn the facade. It has three levels, first one having the main portal and two niches. The second level has three windows with new stained glass depicting the Resurrection, Descent of the Holy Spirit, and the Creation of Man. Decorating the windows are different emblems, both royal and religious. A triangular pediment tops it with a central niche bearing the patron saint's image, and is flanked by two blind oculi. Inside, bricks dominate the walls, giving the interior a brownish tinge. Measuring at least two meters thick, it gives the church a sense of massiveness, as well as solemnity. The single nave bears antique tiles with floral motifs, which leads the eyes to the transept and altar. Two niches with the saints Peter and Paul are at the two ends of the transept. Basing on old photos, these are really old stone icons. It's age shows on how it looks though; slowly deteriorating. The retablo, dome, and ceiling are just later additions, which I personally see as distracting and disconnected with the old feel of the church. The intentions were good, but the execution was... you guys be the judge. Though heavily renovated, the San Diego de Alcala Cathedral is still worth visiting with it's massive walls and facade, and still intact convento. Clearly reflecting what once a very rich pueblo, this is one of the very few heritage structures in Gumaca, and I hope it will be spared from further 'beautification' projects, like the fate of most colonial churches in Southern Quezon.